This plan is designed for intermediate to advanced runners. The initial weeks of the training plan have high-intensity workouts, which requires a solid running foundation and physical fitness. For advanced runners, harder and more challenging variations of selected workouts are indicated to match and challenge your fitness. Similarly, easier options on selected days are indicated as well. This 50K trail race (or trail marathon) plan will physically prepare you for a long mountain race. 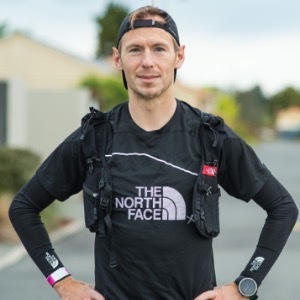 I think that success in most running races (road and trail alike) is to understand the demands of that particular race and to address them with specific training. For example, to move swiftly through mountainous terrain, running technique (uphill and downhill) is equally as important as completing physically demanding sessions. Similarly, the ability to cover long distance is a result of being able to conserve energy (being more economical) during long running hours without fatiguing too much too early. This plan will balance distance, stamina, running technique, and strength (for example uphill intervals and strength & conditioning workouts) to prime you for a challenging 50K race. How is this plan structured? Weeks 1 to 6 - are dedicated to increasing your weekly running mileage. However, it is not only a stage for slow and easy miles. Initial weeks will lead you through a series of workouts that will increase your uphill strength and running technque (i.e. shorter intervals on the road or trails, fartlek sessions), as well as cardiovascular capacity (i.e. threshold-type session). Weeks 7 to 12 - are dedicated to developing cardiovascular capacity and uphill/downhill running fitness. You should expect to be challenged with harder high-intensity workouts and combinations of uphill and downhills drills. Weeks 13 to 16 - is the final conditioning stage, which will combine several trail running elements and will keep you in shape before the upcoming race. You will cover your longest training runs during those final weeks of the training plan. Should you follow the session’s indicated duration or mileage? All workouts are defined by overall duration and expected running mileage. I suggest using the session’s duration as your primary guide. I have indicated mileage under each workout to give you a rough idea what running distance you will cover each week. This number might vary between runners, so don’t worry if you will be running more or less mileage than prescribed. How is intensity defined in the program? I am using RPE scale to define intensity for each session. You can read the description of your RPE scale and how to use it in the comment box under the first session in the program. Progressive 12K run on trails or road. Choose not too technical terrain for this session in order to maintain prescribed intensity (easy/moderate/hard) for each 3K interval. 45-60min easy pace run on trails or road. Modify session's duration (make it longer or shorter) based on how your body feels, but keep in mind that tomorrow is a longer run, therefore don't fatigue your body too much. This week concentrate on the time your will spend on your feet rather than covered distance. Covered distance in trail running as you know is highly dependent on the terrain and technical difficulty of the terrain. Hill Fartlek - is a session where you run every hill of your run at a harder pace. Some uphill segments will be as short as 10 second efforts but others will be longer than 3-5mins. Therefore, correct pacing is important. Remember that even the smallest of the hills should be included in this session: short bursts teach you to adjust your technique quickly. Long stretches will force you to use efficient running technique and pacing. The aim is to maintain Fartlek structure for all hour, however cut this session short if your legs will become super tired. Just continue running at easy pace. These short strides have to be explosive and fast. In order to generate more power and speed, always tighten your core. Stronger arm swing will also help to run more powerfully. Steady intervals are moderate pace intervals, and should feel slightly uncomfortable. Some would call them 'race pace' intervals. It is a good opportunity to practice your pacing. I would suggest to do this session on undulating trails or road. In this case your will get both uphill and downhill segments in your harder efforts. The second set of intervals to be completed at your threshold pace, which is your hard pace. Run·Art Coaching by coach Andrius Ramonas is here to bring you many years of expertise in competitive road and trail running, exercise physiology, nutrition and sports medicine.